The legal marijuana industry is taking on a life of its own. Convoluted state legislation, mainstream cannabis culture and medical credibility all help make up what the business is today. It’s no secret that the rules and regulations associated with legal cannabis are presented in a manner that is downright confusing. Such confusion has led to a demand for marijuana consulting jobs. Each state maintains different regulations for medical and recreational cannabis growth, possession, sales and use, even allowing individual municipalities to adopt only the provisions they agree with. At the same time, demand for marijuana is surging to a degree that has the capacity to bring in billions of dollars in state revenue in the coming years. Marijuana job fairs, meet-ups and other events are helping to facilitate a common goal for entrepreneurial success in the cannabusiness. With all the turbulence the marijuana business experiences year to year, it is a daunting task to open a marijuana dispensary or start a grow operation in hopes of reaping the benefits of a flourishing industry. One of the best resources available for assistance in navigating through deeply entrenched legislature is marijuana consulting jobs. What Are Marijuana Consultant Jobs? Consulting jobs appear at every point on the spectrum of the legal marijuana industry. Consulting agencies like SIVA, LLC specialize in providing services that help with modeling financial and business plans, as well as assisting in marijuana industry marketing and branding. Consulting also comes into play when considering security measures where cannabis products are concerned. Consulting can be a key factor is the success or failure of a business as consultants make projections on incoming and outgoing finances as well as market knowledge that helps business owners comply with state regulations, prepare for audits and effectively manage their finances before and after opening their business. On the same coin, consultants help owners strategize and create a successful business models that allows for an exit plan if necessary. Marijuana consulting jobs require well-informed individuals when it comes to marijuana legislation, finance and law. For this reason, consultants are often lawyers or business owners themselves, who share their successful experience as a springboard to launch the businesses of others. Necessary qualifications may include advanced college degrees, as well as experience in the cultivation or distribution of marijuana products. When posting for a position as VP of Legal Affairs, SIVA LLC required specific qualifications for being considered. In addition to the standard background check associated with most high level and marijuana related careers, applicants must be a “Member of California bar or other U.S. state bar…”. As this posting shows, marijuana consulting jobs are not entry-level positions, in fact, they are one of the higher-level jobs to be obtained in the legal marijuana industry along with cannabis extraction technicians and master growers. As CNN reported back in 2013, Washington state government recruiting of marijuana consultants is a bit of an oxymoron, considering the job calls for knowledge on “…how weed is grown, harvested, processed and infused into food…Experience testing marijuana quality…Knowing how much weed is needed, and where…Establishing industry regulations,” which have historically been largely illegal credentials to present to any government official. 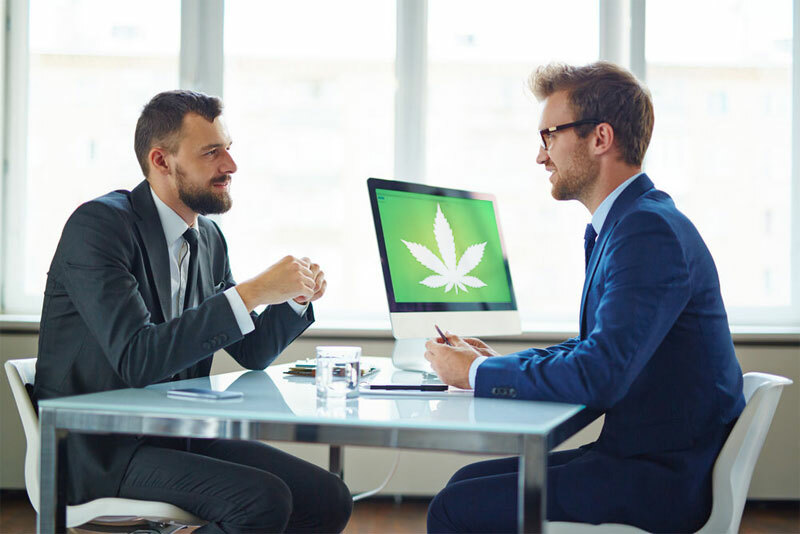 Marijuana consulting jobs are a relatively new phenomena in the world of business and government, but ultimately a necessary one if the legal marijuana industry continues to be so heavily regulated. While marijuana consulting jobs are becoming somewhat of a necessary component of establishing a business in the marijuana industry, not any consultant will do. It is important when seeking guidance and structure from a paid “professional” to only consider those with the experience, knowledge and success to back up their claims. Though many individuals may consider themselves to be cannabis “experts,” it takes someone with both business savvy and a marijuana background to provide excellent advice that will boost business owners up, rather than stunt them. In many ways, the marijuana industry is customer oriented. Ultimately, individuals and businesses alike make their money when medical patients and recreational customers visit dispensaries and buy products for personal use. Especially in Colorado and on the west coast, marijuana dispensaries run far and wide across major cities and small towns alike. Given stiff competition from other businesses, dispensaries majorly benefit from consulting jobs, as it allows for an organized approach to fulfilling all necessary obligations for regulatory compliance. Additionally, consultants can assist new dispensary owners in formulating plans that will maximize profit, include successful branding and marketing techniques, while also examining what the forecast is for the marijuana industry at any point in time. Master growers and other leaders of grow operations also benefit from consultants and lawyers as it helps them to sidestep any pitfalls that may come with constantly changing policies. Consultants can help ensure operations are running legally, complying with all state and municipal regulations, and have the ability to thrive and bring in revenue. With the current climate of marijuana legalization and regulation, there may not be an industry standard quite yet for marijuana business consultants, however, the future of this sector of the legal marijuana industry is promising. As more dispensaries, grow operations and other cannabusinesses crop up, the demand for consultants will follow suit. Ultimately, this trend is encouraging in that it helps to further situate the marijuana industry as a legitimate business. Part of the industry’s stigma stems purely from how nascent the legal industry is. For this reason, cannabis consultants are helping business owners make up for lost time by using their unique experience and knowledge of cannabis law to help erase the stigma so often associated with marijuana. While finding marijuana consulting jobs may require a unique kind of education and experience, it is a worthwhile venture. As the industry continues to grow, more opportunities will present themselves, offering qualified candidates competitive wages and benefits. Consultants are integral players in helping to make the dreams of marijuana business people a reality. Consulting jobs are yet another step in the right direction toward taking the marijuana industry fully into the twenty first century and beyond.